Florida Hospital for Children has been named a Top Children’s Hospital by The Leapfrog Group. This award is considered one of the most prestigious honors a hospital can receive. Florida Hospital for Children is one of only ten children’s hospitals in the entire U.S. to earn this recognition. In addition, Florida Hospital Celebration Health has been named a Top Teaching Hospital, one of only 36 in the country to get this distinction. Performance across many areas of care is reviewed in establishing the qualifications for the award, including: infection rates, high-risk procedure outcomes, and the prevention of medical errors. Hospitals must submit a Leapfrog Hospital Survey to be considered. The Leapfrog Group is an independent hospital watchdog organization that reviews patient safety metrics in the industry. 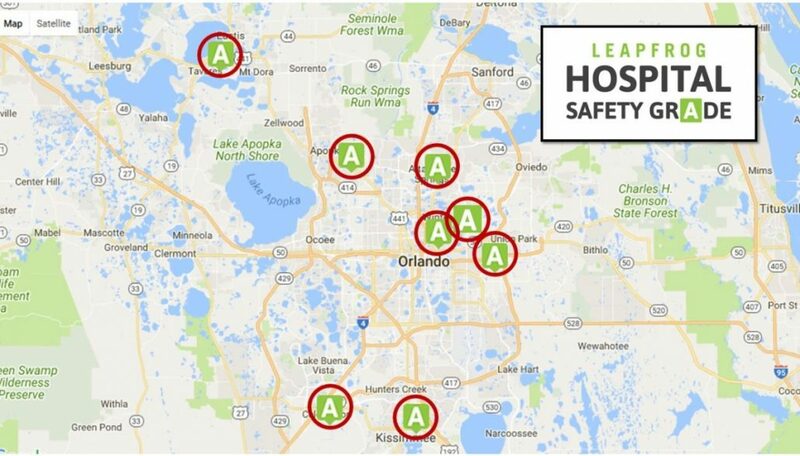 Back in October, the organization gave every Florida Hospital campus in Central Florida an “A” grade for their commitment to patient care.